Visiting Spoleto means entering a captivating reality that seems like bringing the visitor back through time. Walking the alleys in downtown Spoleto, exploring the wonderful nature in perfect harmony with the work of man, or accessing its famous monuments are key moments for the city to disclose its soul. 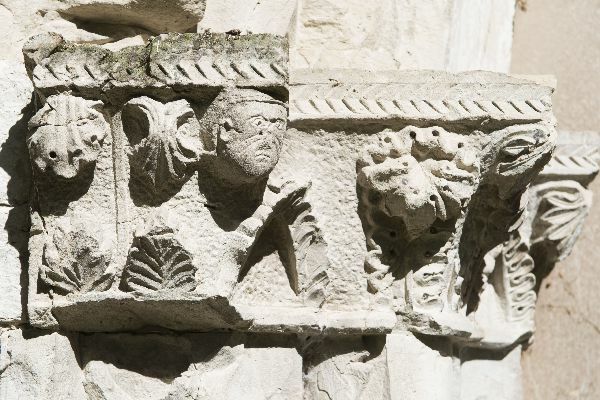 The imposing Roman traces, the remains of early-Medieval or Longobard buildings, the splendid Romanesque churches, testify to the oldest history of Spoleto, woven together with the present times, thanks to the presence of great contemporary art works. The wonderful noble palaces in downtown Spoleto are the location of important cultural events and the Festival of Two Worlds has been ratifying Spoleto’s international vocation for more than half a century, turning the city into a place open to all forms of art. 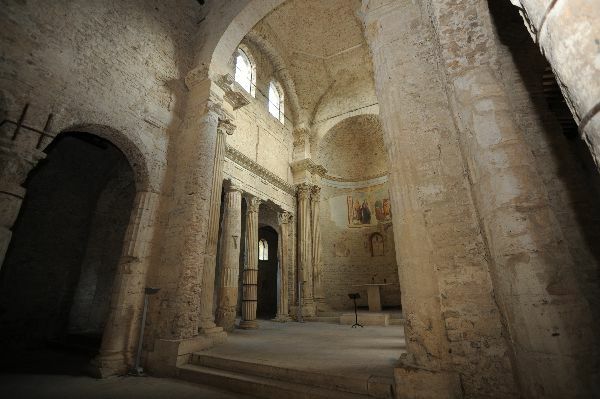 Christianity reached Spoleto quite early, as testified to by the presence of many local martyrs, still venerated today, and by documents certifying the presence of the bishop see since the 4th century. 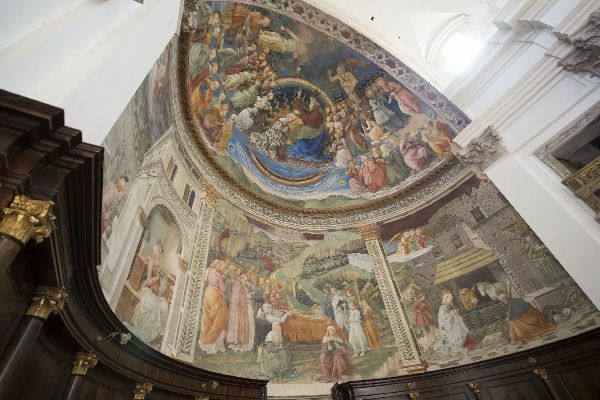 Many religious buildings in Spoleto have very old origins and often underwent renovations, especially during the Romanesque and Renaissance periods, with the arrival of such artists as Filippo Lippi or Pintoricchio. The renovation or construction of new churches during the 17th and 18th centuries often occurred thanks to outstanding bishops and local noblemen, who helped establish strict connections with Rome and the great artists orbiting around the Holy See. One of the reasons of the great charm of Spoleto lies in the unexpected beauty that will take its visitors by surprise. 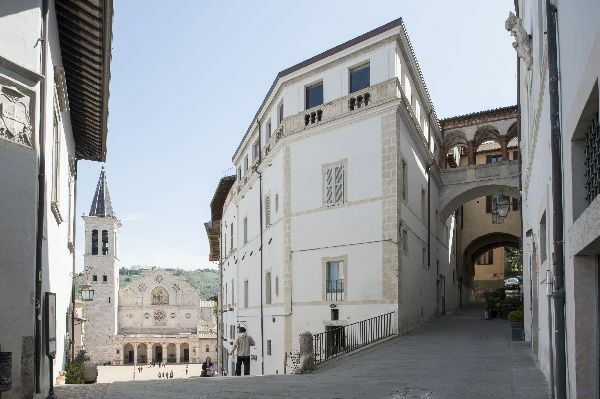 Spoleto differs from many other ancient towns because of the presence of a number of noble palaces that, in particular between the 17th and 18th centuries, further embellished the medieval town, modifying its plant with new piazzas and elegant façades. Named after the noble families which commissioned them, they reflect the wealth and power that those families reached in the early modern times. 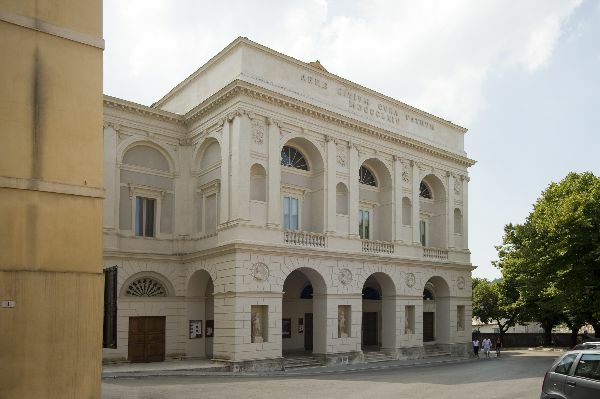 Spoleto’s vocation for shows and performances has very old roots, as testified to by the many theatres and other locations that pushed M° Gian Carlo Menotti to choose the city for his Festival Of Two Worlds. It is thanks to this and other kermesses that the Roman Theatre has recovered its old function after 2000 years of oblivion, and that the two historical city theatres keep on hosting high-level shows throughout the year. Spoleto has a privileged relation with contemporary art, due to the sparkling atmosphere in the city since the mid-20th century. 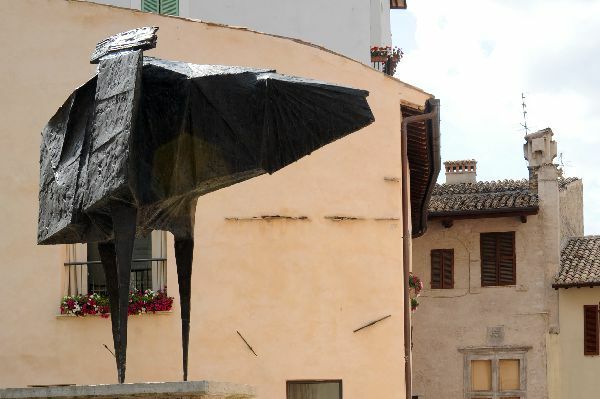 It is in this fecund milieu, testified to by the excellent collection at the Carandente Museum, that the artists of the “Gruppo di Spoleto” could mature, and initiatives such as the “Spoleto Prize” and “Sculptures In The City” could be conceived. This exceptional opening to the contemporary is fed by the vitality of Palazzo Collicola Visual Arts and its continuously evolving collections, and by many artists who, by birth or by choice, contribute to keep this age-old city alive and young. Spoleto’s age-old history is reflected in the richness of its artistic heritage, kept inside the six city museums. 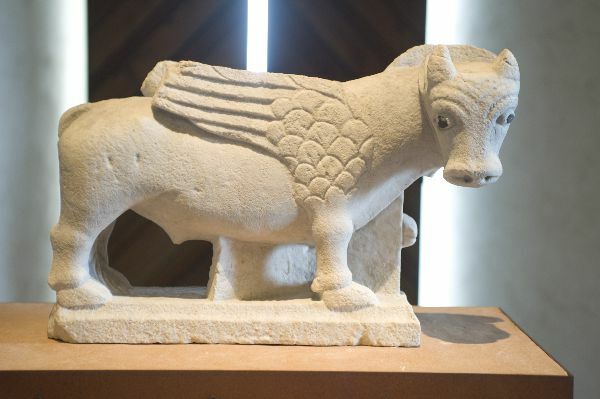 The huge collections allow to retrace the stages that, from the ancient origins up to the contemporary period, have contributed to the city’s extraordinary cultural unity. The visit to the museums is made further attractive by their own being located inside historical buildings, true evidences of the city’s glorious past. The Longobards, an ancient people coming from Scandinavia, after long migrations invaded Italy in 568 and occupied it almost entirely. During their rule, Spoleto became the capital city of the Duchy of Spoleto, spanning across most of Central Italy. Late studies recognized the central role that the “long-bearded people” had in the passage from the Roman Empire to the Carolingian one, wiping away the concept of decadence that was generally associated to such period before. The acknowledgment of the Longobards’ role led to the inclusion of the serial site “The Longobards in Italy” in the UNESCO WHL, that shows the most important Longobard evidences in the peninsula. 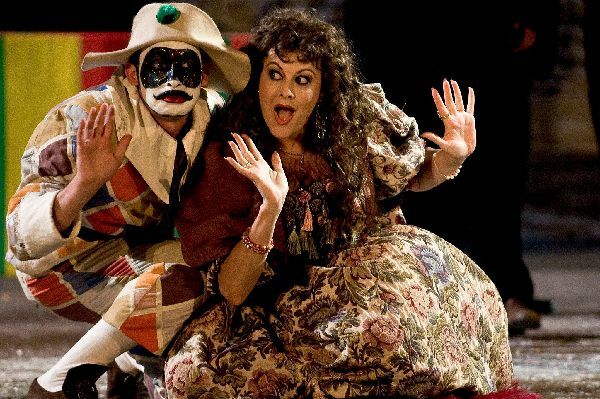 The Spoleto Festival is one of the most prestigious events at international level, and features opera, prose, ballet, concerts, art exhibitions and films every year, from late June to mid-July. Founded in 1947 by lawyer and musicologist Adriano Belli, this institution introduces particularly talented young singers in seek of their debut, to the world of opera. The excellent environmental peculiarities of Umbria are among the features that make this region unique, and give it the definition of “Green Heart of Italy”. 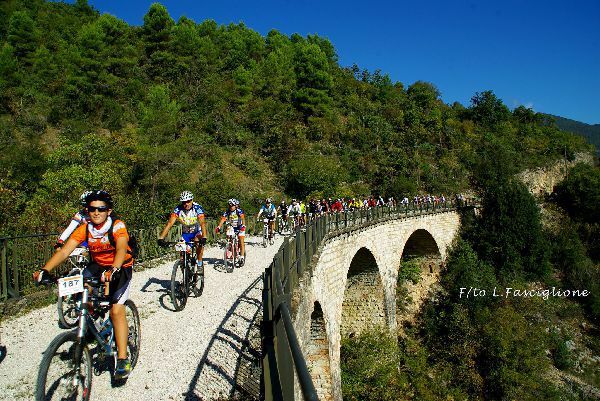 The area around Spoleto includes centuries-old thick woods, limpid watercourses and uncontaminated oases, ideal background for sport activities in touch with nature, such as rafting, horse-riding, trekking, cycling, long promoted by many initiatives in support of environmental tourism.